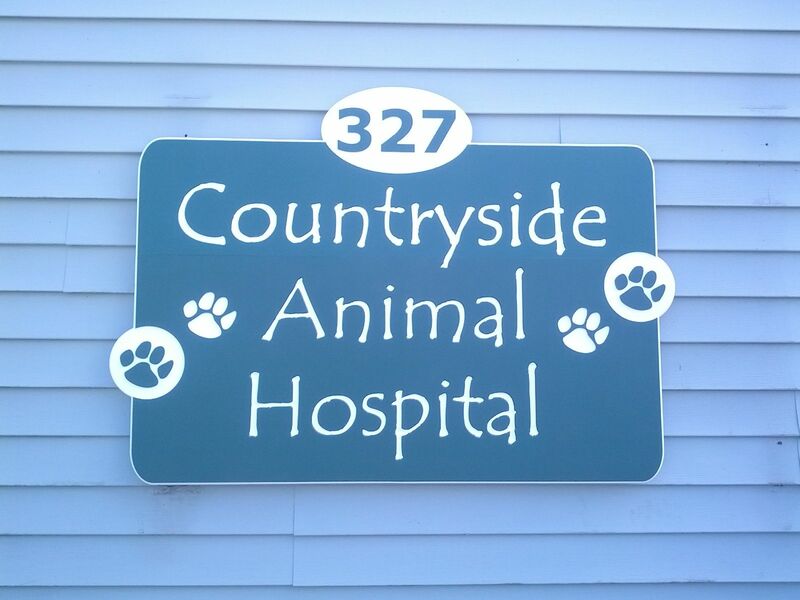 This outdoor sign was made for our local animal hospital. It was designed to compliment a "leash" sign hung by the front door, as well as a sign with similar text font and paw graphics by the main road. The sign material is a 3/4" polyethylene sandwich of contrasting color layers. For this project, the outer colors were green, with a white inner core. Engraving through the outer green layer reveals the inner white core, which is what you see in the photo. The benefit of this material is that it is impervious to moisture, and does not fade when exposed to UV rays. Dimensions for this project are 46" wide x 32" high x 3/4" thick. Cost shown is for a sign of roughly this size and complexity.